Today, I received the following job notification mail from QT&T, Singapore. If any of you are interested in the job position, you can send your detailed resume to QT&T directly. The details of the job profile is listed below. Please find below a vacancy in a leading MNC bank. Please send in your resume' to resumes@qtnt.com immediately!!! Also, kindly forward it to your friends who might be interested to take up this opportunity!!!! – one position for 6 months and another for 1 year. I have no connection/ relation to the above mail. So, it is upto you to find out the details from QT&T. Battlestar Galactica is one of the highly promoted attractions of Universal Studios Singapore before it was opened to public. The roller coaster ride was closed for public since March 2010. 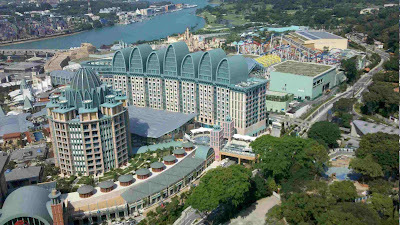 It remains closed for about six months now and there is no indication from the Resorts World Sentosa/ Universal Studios officials when this would be available again. Battlestar Galactica is a pair of dueling roller coasters at Universal Studios Singapore. The attraction is themed after the hit television series "Battlestar Galactica". 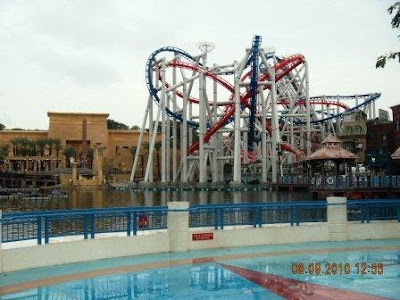 The Cylon Raider (blue track) is a suspended roller coaster that will turn your world upside down as it runs through vertical loops, corkscrews and cobra rolls. The Human Viper Mark II (red track) is a seated roller coaster that zooms at 90km/h and propels you fourteen storeys into the air while pursuing the enemy. In my previous article, I have uploaded part 1 of the Photos taken at Universal Studios Singapore. 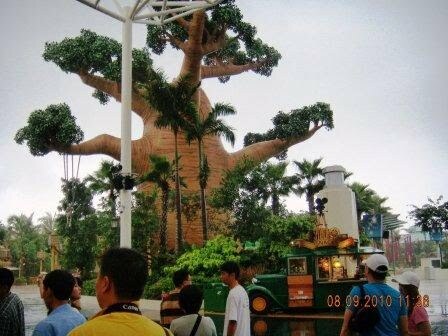 Here, I will continue to show you some more photographs taken on the same day at Universal Studios, Sentosa, Singapore. 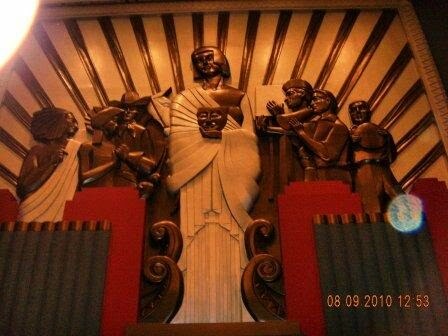 This article mainly concentrates on the Hollywood Boulevard. Don't miss this show at Sentosa. It brings to you Hollywood director Steven Spielberg's light and sound effects. Its a good show that brings some breathtaking moments right in front of your eyes. When you come out of the Lights, Camera, Action show you get a glimpse of this nice set that brings New York city in front of you. Just opposite to the Lights, Camera, Action is a 1,500-seat indoor theatre fully equipped to host major Broadway musicals. Fitted with cutting-edge cinematic technology, including state-of-the-art digital projectors, this theatre features great music, dancing, comedy and special effects. Universal Studios is a recent addition to the attractions of the vibrant Singapore city. Located at the Sentosa island, Universal Studios attracts huge crowd of tourists. Opened to public early this year, Universal Studios has quietly started to attract people. 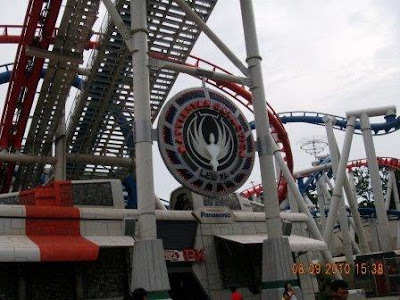 In spite of its earlier setback which led to the halt of the huge roller-coaster ride "Battlestar Galactica", Universal Studios still remains popular among tourists. Battlestar Galactica has not resumed its operations yet, but there are other attractions for you to enjoy a whole day. 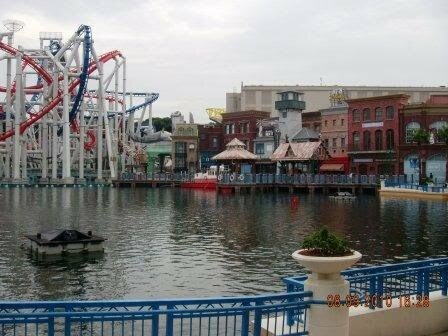 I went to Universal Studios on a day, when it was pouring down heavily in Singapore. But, I could not cancel my trip as I have already booked the tickets online. A word of advice for everyone: please book your tickets online or through phone booking. Else, you may be in for a surprise as Universal Studios has a limit on the number of tickets issued on a day. 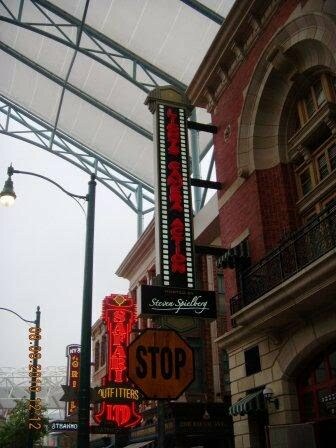 The following are some of the photos I took inside Universal Studios. The photos might look a bit dark as it was completely cloudy the whole day. I could not see any sunshine that day. In fact, afternoon was just pleasant with no sun. It didn't look like I was in Singapore. It was as good as my visit to Genting Highlands couple of years ago. Please enjoy my photos. 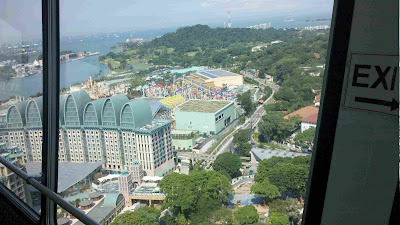 I have taken some top view photos of the Resorts World Sentosa (Integrated Resorts) Casino, Hotel and Theme Park. These photos of the Resorts World Sentosa (RWS) Casino, Hotel and Universal Studios Theme Park were taken from the Sentosa Island's attraction Tiger Sky Tower. 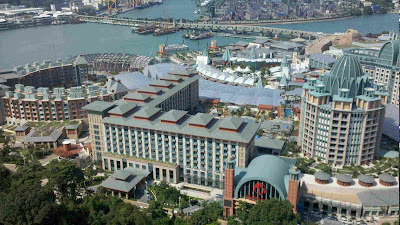 The Tiger Sky Tower rises gently to a height of about 130m above sea level and presents a nice top view of the Resorts World Sentosa. Even if you go to the Integrated Resorts directly, you may not be able to get such a nice top view. 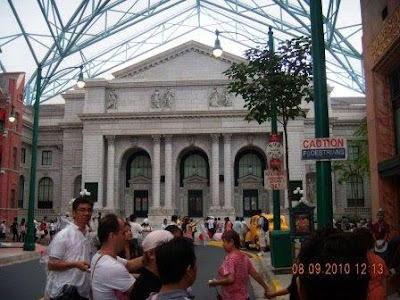 If you come to Singapore, then RWS is one place which you should not miss.